2+2=4: Glen Beck, "It really doesn't matter who is elected, because only God can save us now." 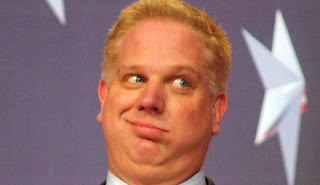 Glen Beck, "It really doesn't matter who is elected, because only God can save us now." How many times in the last year have you heard Glen Beck utter these words, even mocking the idea that working for a "political end" "for a particular candidate" is somehow beneath the dignity of those who are "truly hoping to save our nation." Don't buy the LIE. Taking your position, just for argument's sake, one has then to look to the closest thing to the Ideal Man, you would demands were he living and drawing breath. Here is the fact, Newt Gingrich is the ONLY candidate who has baptized himself in the intent of the founding fathers, doing in depth studies of the same for books he wrote, and movies produced, he is the ONLY candidate that realized the extent of the attack on God in the public square, was shocked awake in 2003 BECAUSE of the 9th circuit's ruling on "under God" in the Pledge of Allegiance. He quickly realized that God under assault everywhere in the public square. He is the only candidate who can articulate the "rightness" of putting God back into America and not sound like a fundamentalist prig; he is the ONLY candidate to have spent the last ten years examining ALL the nations major weaknesses and vulnerabilities and with his think tank creating and publishing solutions - ad to that the fact that he had a major religious conversion, and talked openly about his past transgressions and his need of redemption, and still ad to that the fact that he created the first republican majority in Congress in 40 year, saved the U.S. tax payer $1,500,000,000,000.00 (that is with a T) with his welfare to work reforms in the 1990s, and balanced the federal budget for 4 years in a row - - well unless you are expecting Jesus Christ Himself to step out of the clouds and announce his candidacy - you need to wake up. One more thing. Can you picture a King, when his realm is attacked that would sit back and say, "The major thing is that we don't argue here, in my council chambers." That would be insanity and the mark of a stupid King. WE THE PEOPLE are both the Sovereign and the Sovereign's Council in America, it is our JOB to engage. It is our JOB to argue and come to knowledge of those whom we choose to place in limited governance. If you find it "unseemly" I'm glad you didn't live in the 1770s to 1790s you would never have survived it. Because not only did they debate EVERYTHING, and debate passionately, they took up weapons and in what seemed like an act of INSANITY, thirteen weak colonies took on the Greatest Empire the world to date had ever seen. Yes, they did it prayerfully, totally aware of God's movement in history. You need to wake up and start looking for the same - God's movement in history. And the path won't be obvious to you.